As a business owner, it is your responsibility to assess and potentially reduce sound levels in your workplace. If these are too high, not only are you putting yourself at risk but all those around you. Long-term exposure to noise can result in tinnitus, stress and even permanent hearing loss, so it isn’t something you should take lightly. Here are 3 ways to reduce the sound levels in your work environment. Soundproofing is one of the most popular choices when it comes to noise control. It is available in a range of different forms, including insulation for your doors, floors and walls. 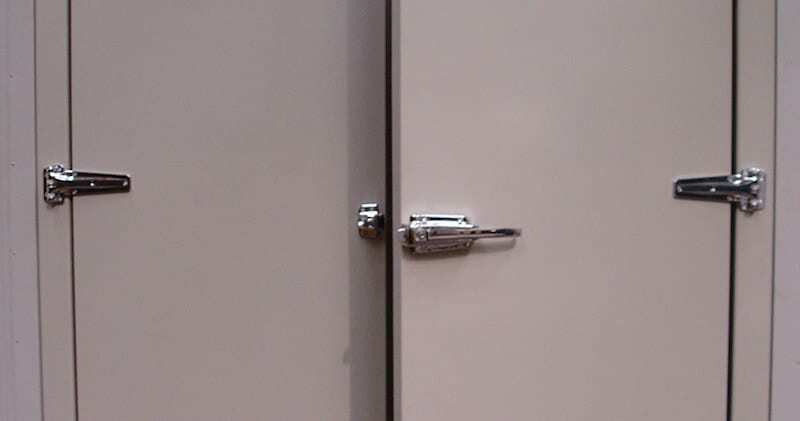 Kimpton can install soundproof doors at your business premises, ensuring that the product uses your noise level specifications. We will also create a product that blends in with the rest of the room, giving it a natural, consistent look. Another option when it comes to noise control are acoustic screens and barriers. These are really effective in construction, mechanical and manufacturing environments, where machinery and other equipment is regularly used. They are made from specialist absorbing materials, which will help to significantly reduce the sound that you can hear. As well as being a great way to reduce noise pollution, they also offer flexibility when it comes to where you put them. Our acoustic screens and barriers can be made from a few to over 100 metres long, as well as being made into an ‘L’ or ‘U’ shape, depending on your individual requirements. Noise havens are a place where employees can go to work and communicate, which they wouldn’t be able to do elsewhere due to the noise. Kimpton can design and install these control rooms to suit your individual needs, incorporating any windows, doors and lighting that you require. We are also able to include ventilation and air conditioning, creating the perfect workplace for you and your employees. If you would like to find out more about any of the acoustic services we offer or would like advice on how to reduce noise, please don’t hesitate in contacting us. You can call 0151 343 1963 or fill out the contact form on our website.